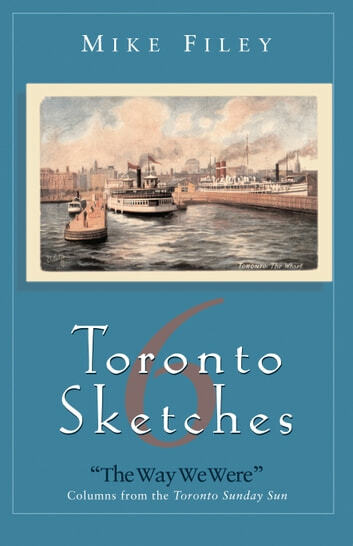 Stories of Old Toronto never lose favour with the city’s nostalgia buffs, and as long as Mike Filey continues to provide us with his "The Way We Were" columns, no one’s appetite will have to go unsatisfied. 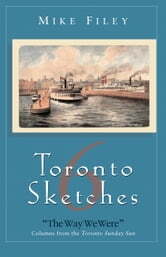 When Mike’s Toronto Sunday Sun columns were first brought together in Toronto Sketches, demand was so high that it prompted a second collection … then a third … and a fourth … and a fifth. Now, for 2000, Mike has once again brought together some of the best of his Toronto Sunday Sun columns for Toronto Sketches 6, the latest installment in the wildly popular series. This time around, Mike takes us to a performance at the Royal Alexandra Theatre by Al Jolson, the opening of Sunnybrook Hospital, a game between the baseball Leafs and the Havana Sugar Kings - with Fidel Castro throwing out the first pitch - and many more famous, notorious, and entertaining episodes in the history of this great city.